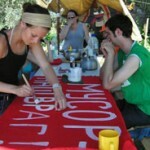 Hosting organisation Lastochki Icye Russia in Russian town Samara is looking for EVS volunteer. Project will start 1st September 2012 and its duration is1 year. In November 2001 NGO “Lastochki” was accepted as an Associate Member of ICYE Federation. The International Cultural Youth Exchange (ICYE) is an international non-profit youth exchange organisation promoting youth mobility. 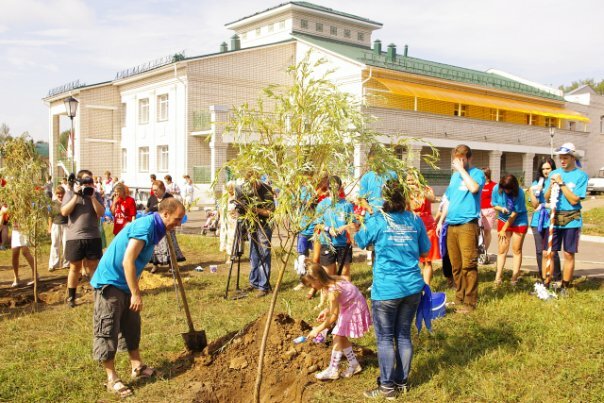 Mission of organisation is related to promotion the idea of international volunteerism in Russia by means of our long-term volunteering and short-term projects. co-operation with local and international non-governmental and non-profit organisations, participate in international youth exchange programmes. The long term volunteer will support and assist organisation of trainings for long term and short term volunteers – internet research on possible fund raising – updating Lastochki National/Work profiles as well as Lastochki web page www.icye.ru – assisting to the Active group in creating regular Newsletter – assistance in developing Lastochki posters and information sheets – assisting to the staff to organize meetings for local volunteers, mentors, host families – general office tasks Volunteer is very welcome to propose individual project. Selection criteria: Candidate should be open to communicate with new cultures and learning other languages, very different from the native one – creative, friendly, energetic and ready to adapt to new environment – a good command of English as well as PC literacy (Word, Excel) will be of use – knowledge of Russian is important. Deadline for applying is 1st April 2012. If you are interested, please send your CV with photo and motivaiton letter to info@icye.ru (contact person: Lastochki Icye Russia). New accredited HO/SO EVS organization in Russia is calling for 2 volunteers for 2 projects with EI ref. Number 2012-PL-28. Each project has duration 8 months. Volunteer’s tasks: updating English version of website, provide information about projects and news at youth networks in English (or more languages, if it’s possible), answering e-mails, making presentations for volunteers, students and youth about EVS, preparing intercultural programmes in the volunteer’s centre in the city tell about EU programmes under Youth in Action, making photos of activities and etc. 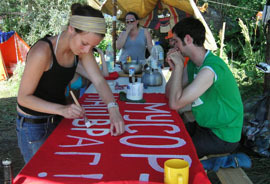 The volunteers can realize their own ideas or projects according to their skills. 2. Children/Protection of children at Mari El. Volunteers can create of activities in orphanages and closed social schools (orphans, disabled children, juvenile offenders and e.t.c. ); educational activities (intercultural workshops, presentations, English workshop) for kids at secondary schools (Yoshkar-Ola), assist in organization of different trainings, seminars, conferences, volunteers schools, camps which provide hosting organization in Mari El; to lead leisure and sport activities, workshops and etc. Interested? Send your CV with photo and motivation letter to opora1@gmail.com.